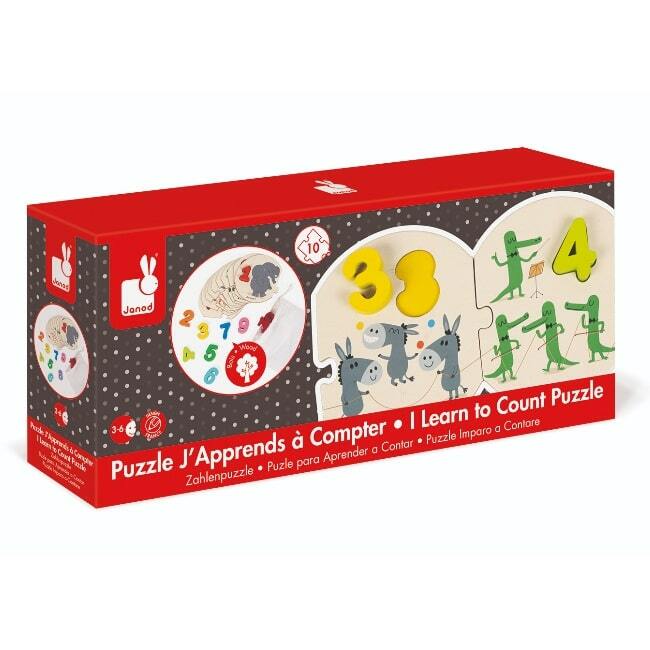 This delightful toy with sturdy wooden parts is an ideal learning aid for clever little ones who love to count as they play. 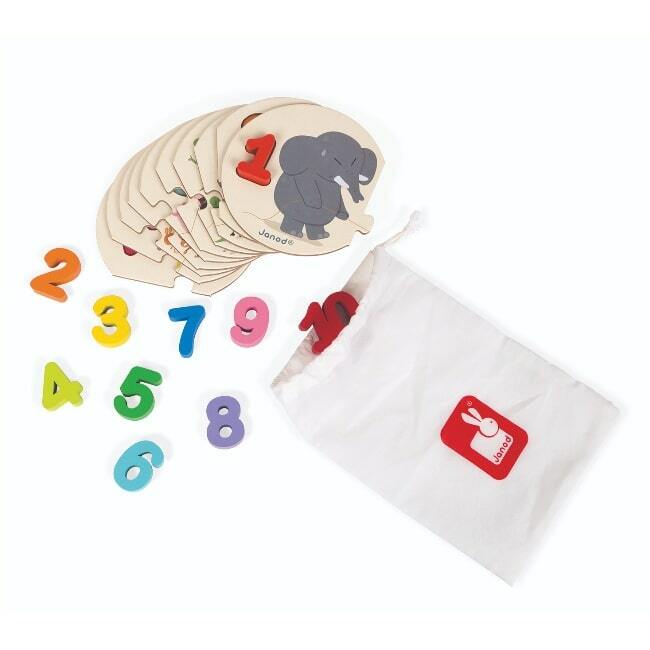 The colourful numbers make learning the numbers up to 10 fun, and bright, contemporary illustrations bring each piece to life. 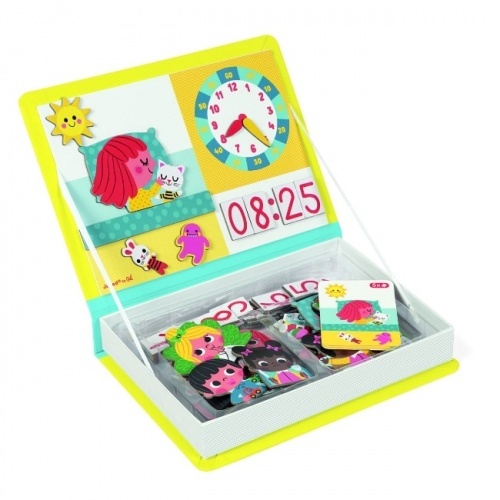 Suitable for ages 3+, it’s also a great toy to help develop your child’s hand and eye coordination. The whole puzzle can be taken away on your travels too, in its own drawstring bag. 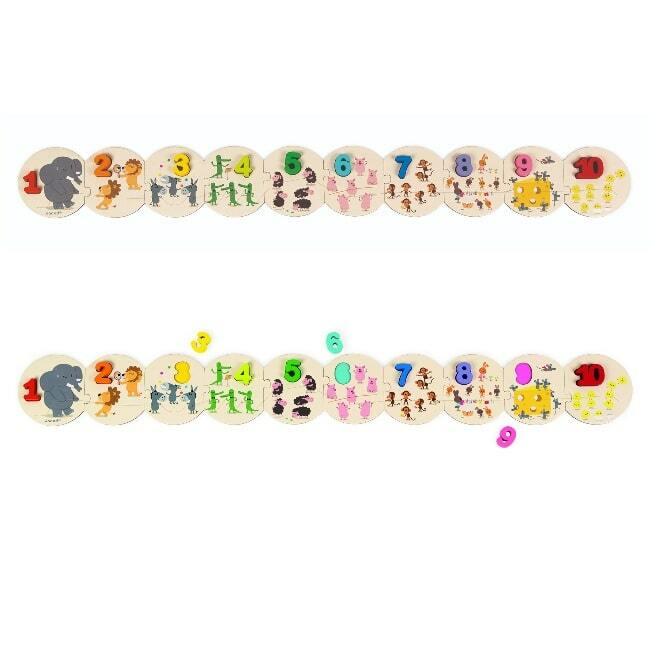 20 pieces - 10 cardboard puzzle pieces and 10 wooden numbers.